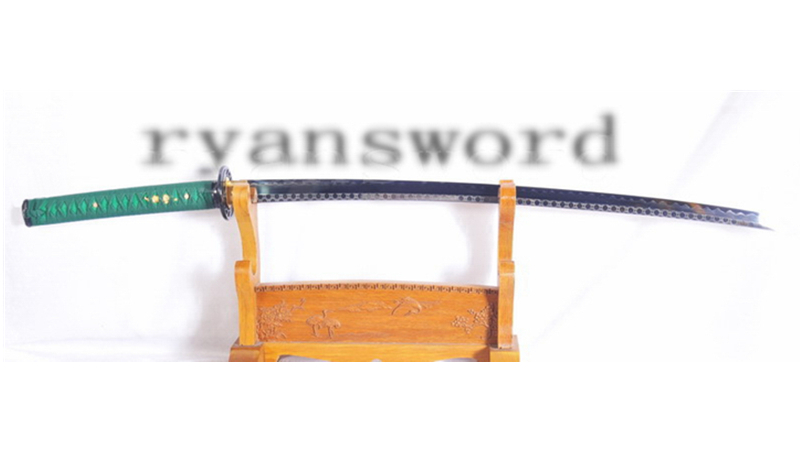 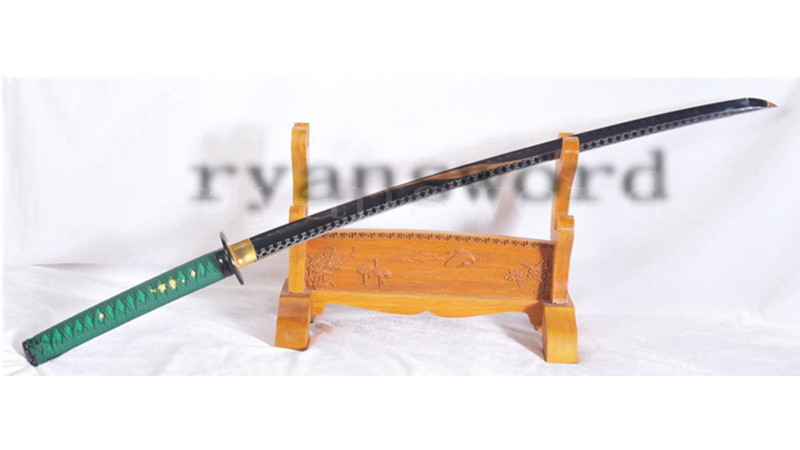 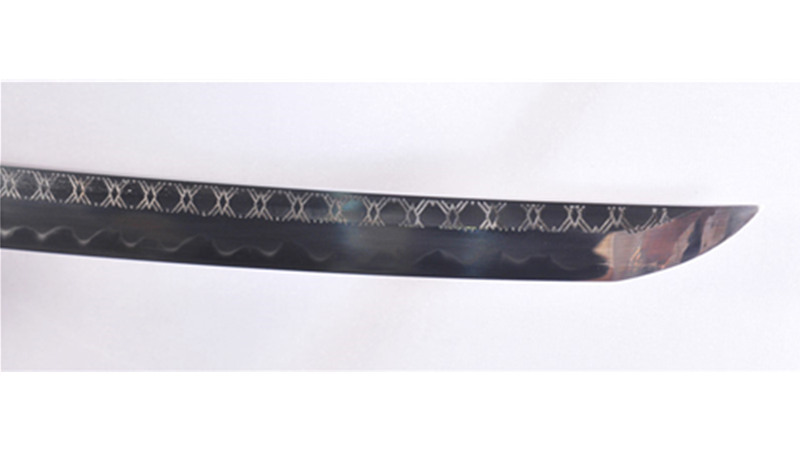 Ryan1126 is a katana in shinogi zukuri geometry and kobuse lamination. The edge and sides are made of 1095 while the spine and core are made of 1060 steel. 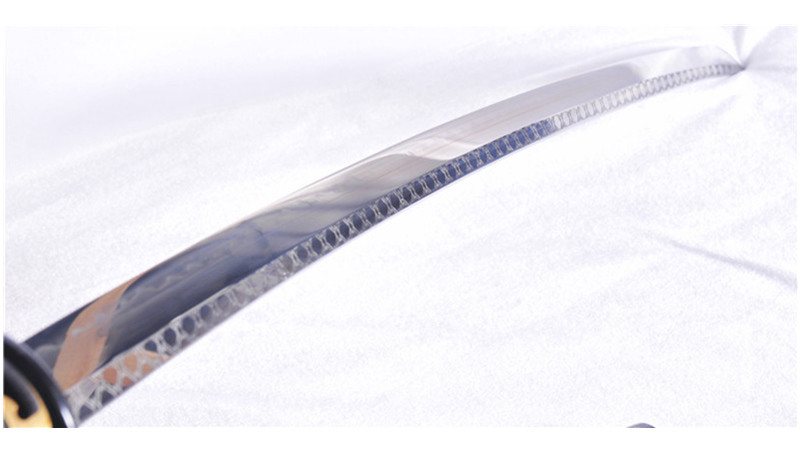 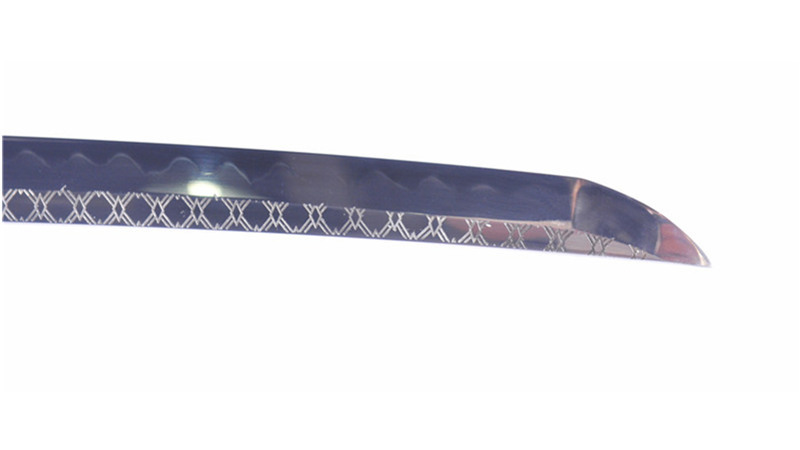 This makes for a blade with high edge retention and a shock-absorbing spine and core. 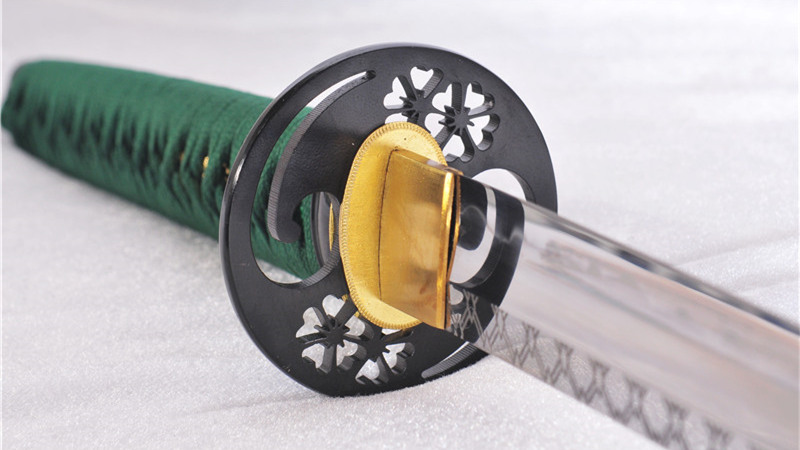 Laminated blades call for a high skill level on the bladesmith as the different types of steel on the blade can delaminate or crack if not properly welded together. 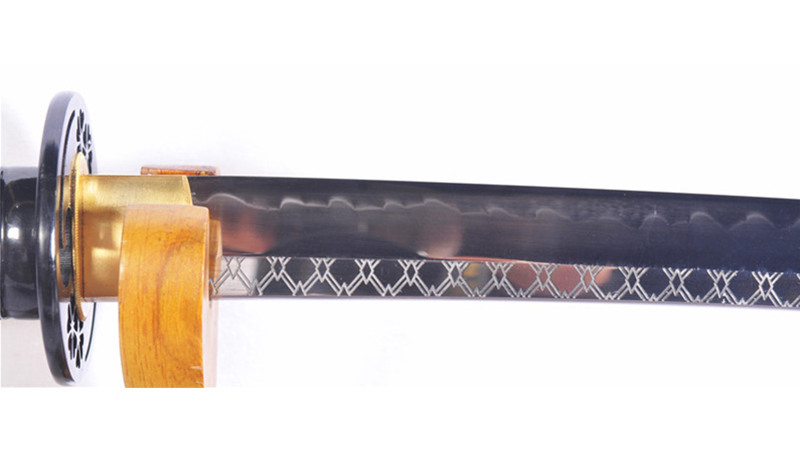 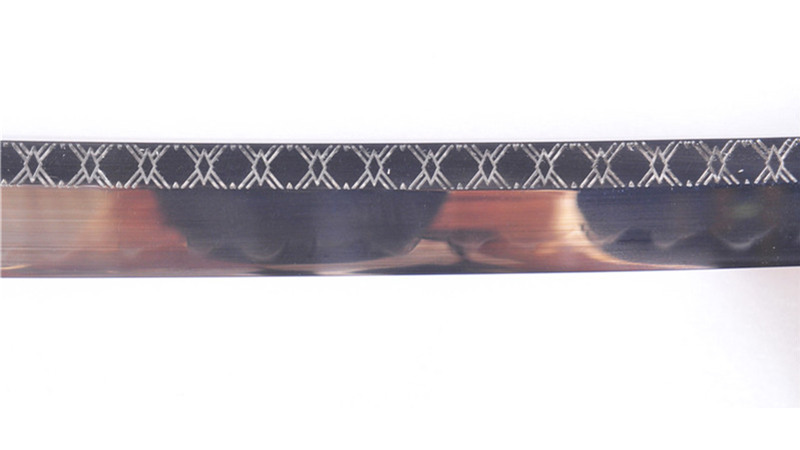 This blade is differentially-hardened/clay-tempered, producing a visible, natural hamon and the shinogi-ji is engraved with a repeating diamond pattern from the habaki to the kissaki. 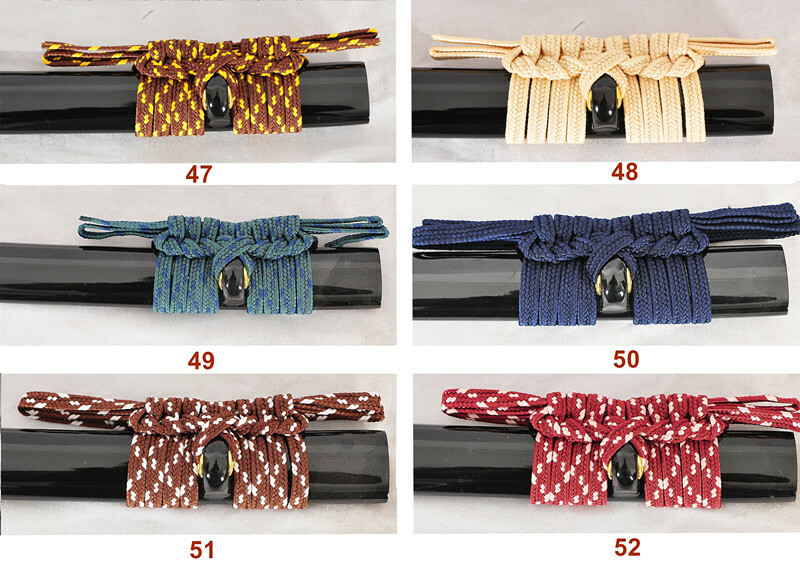 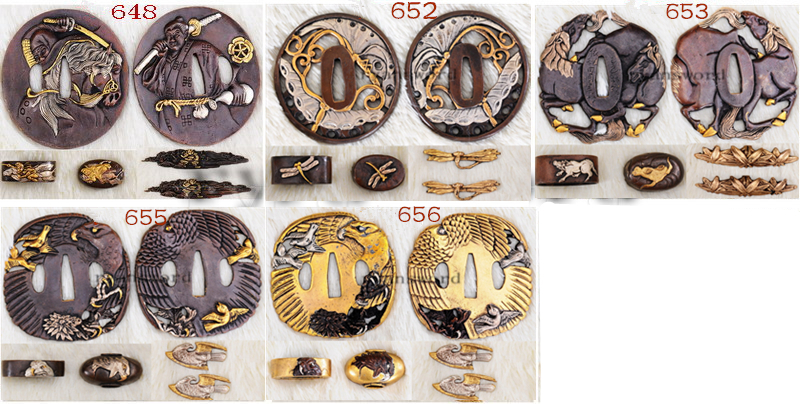 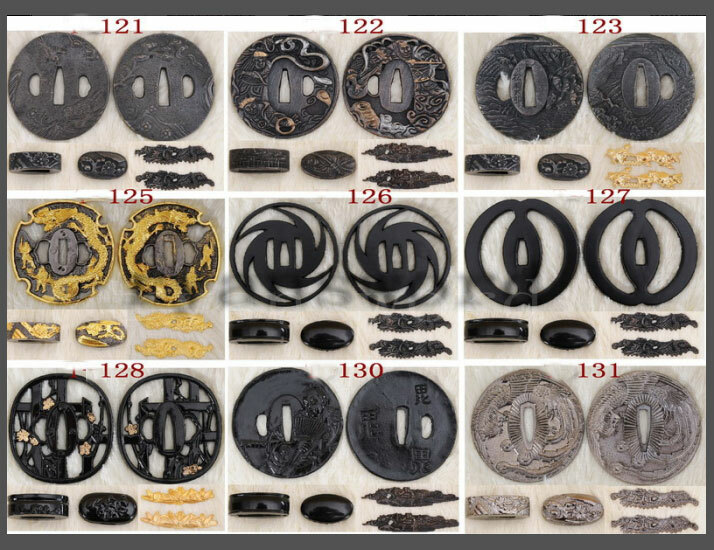 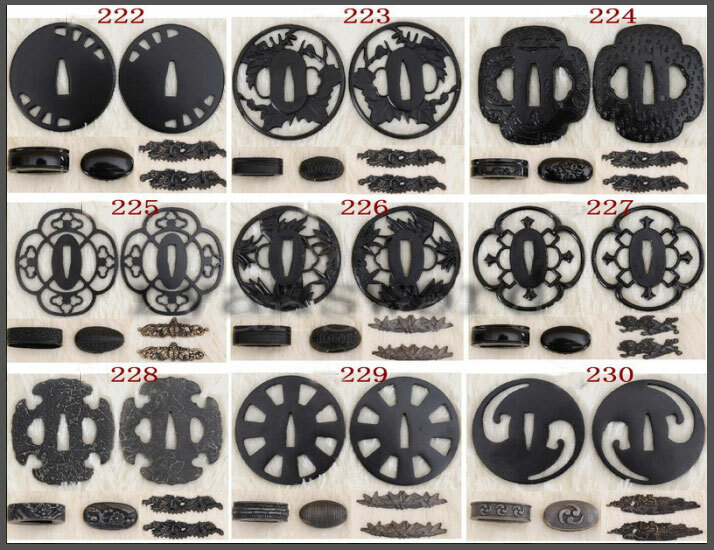 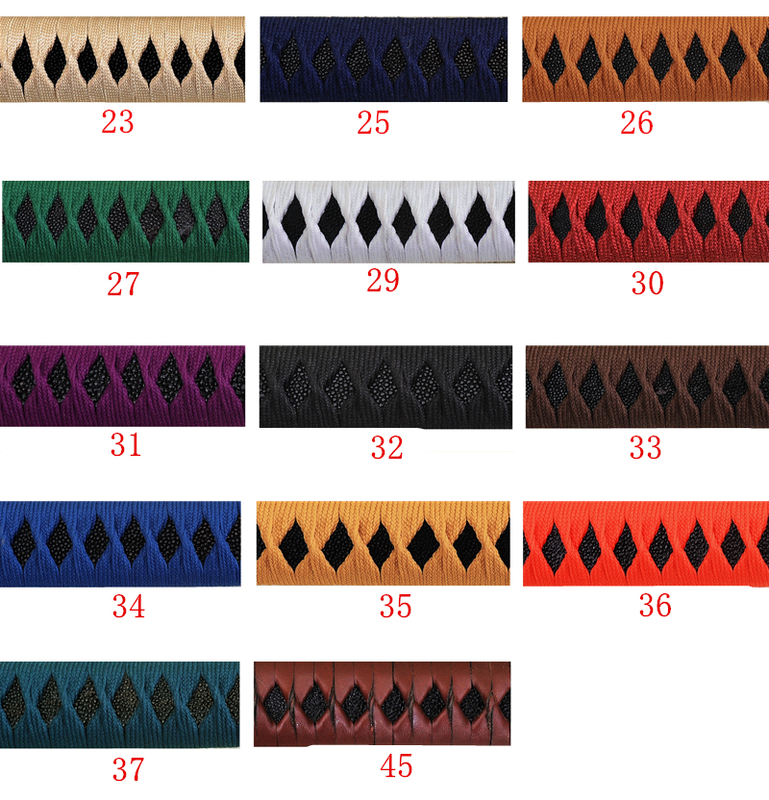 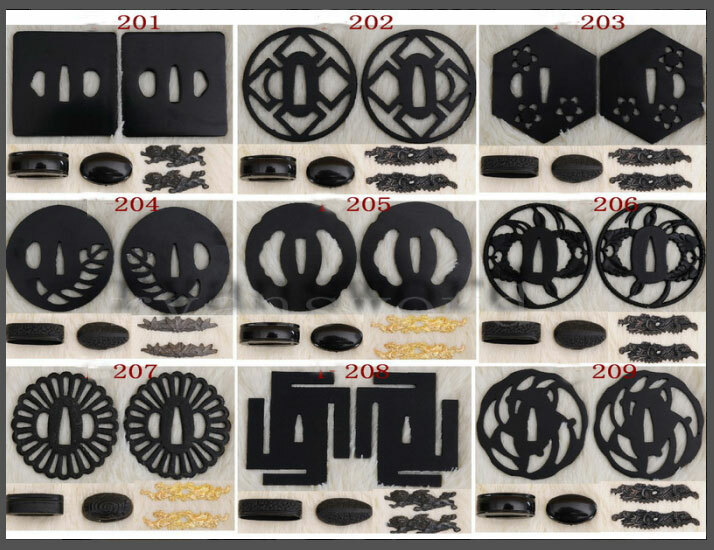 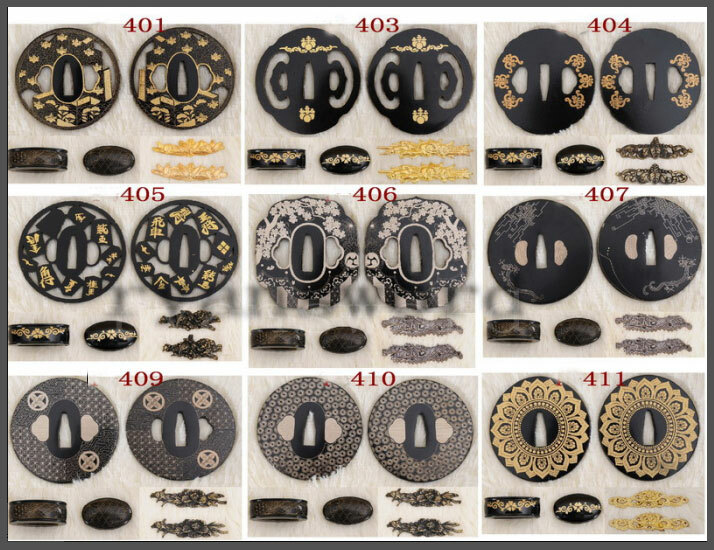 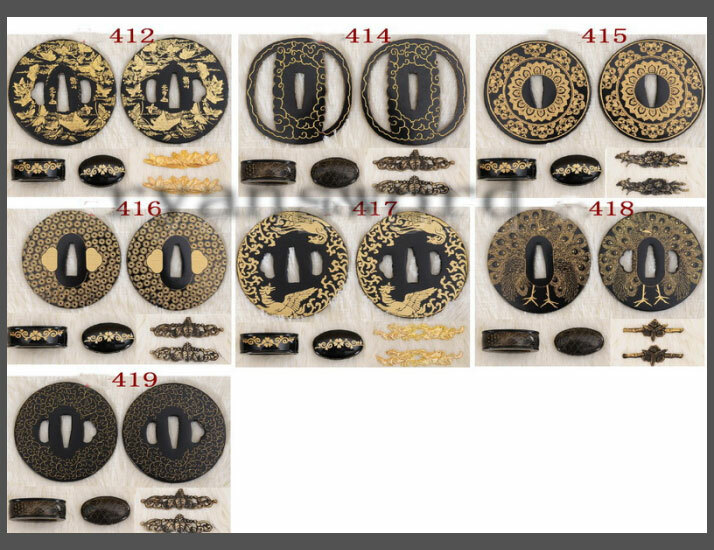 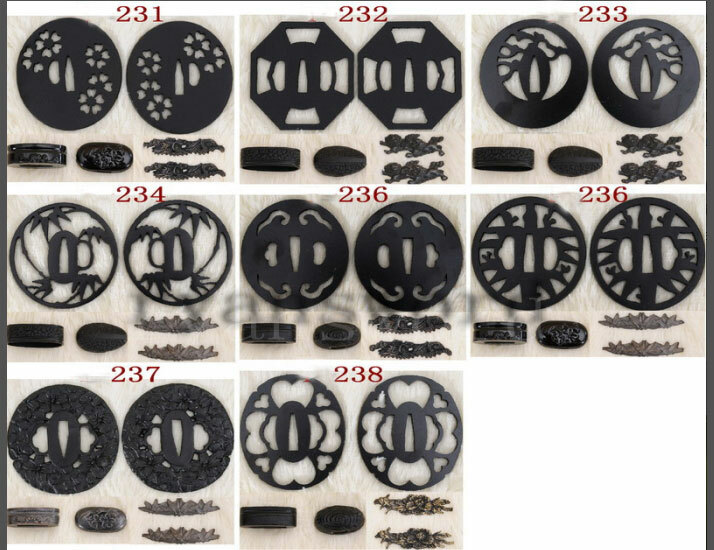 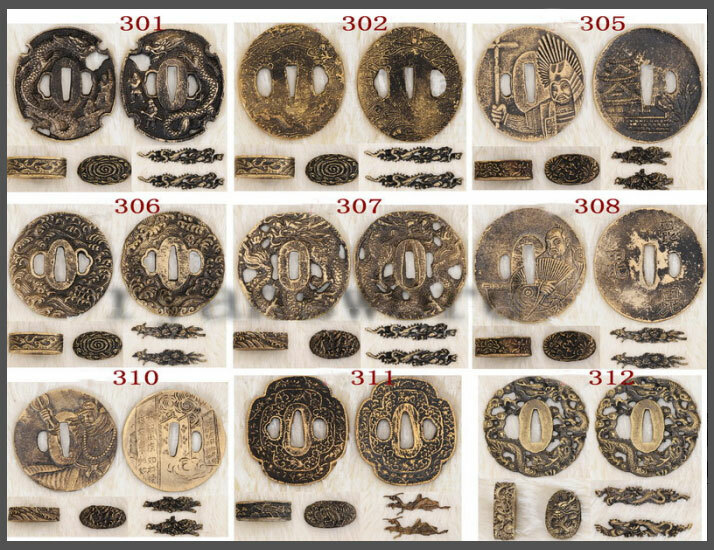 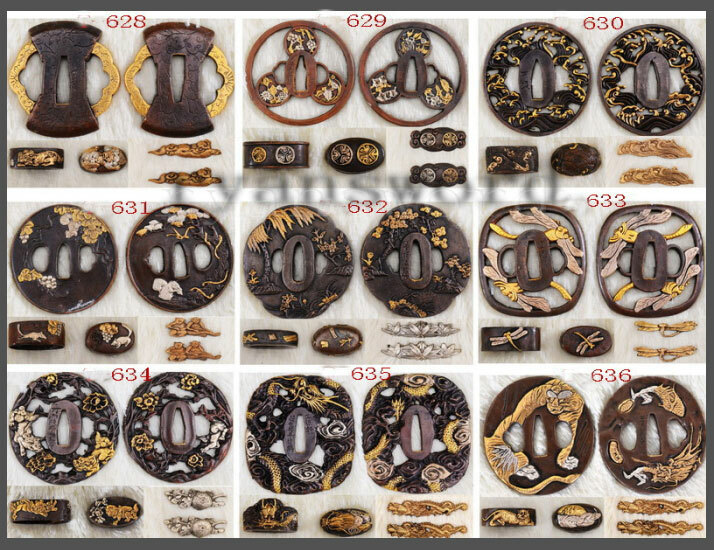 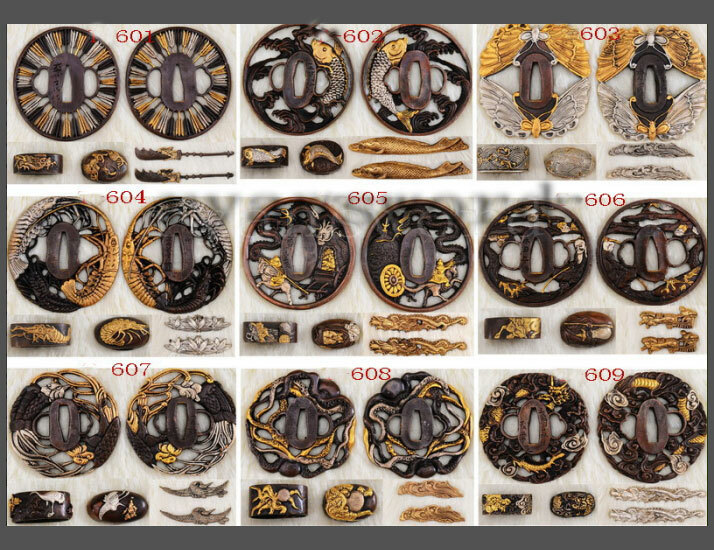 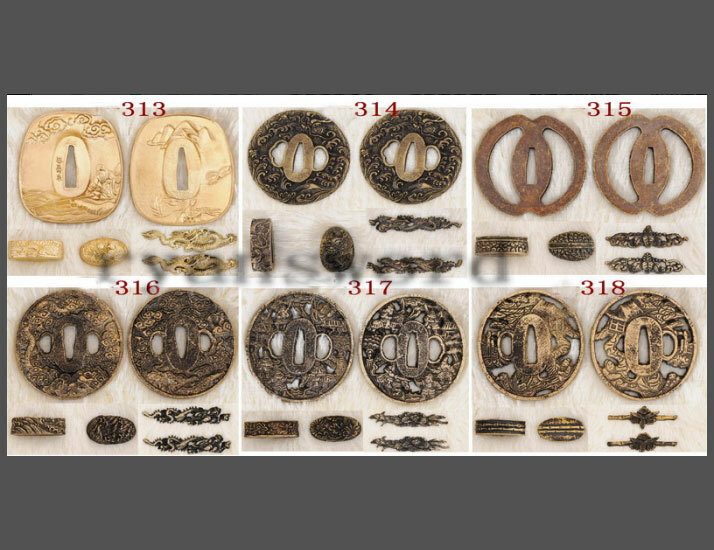 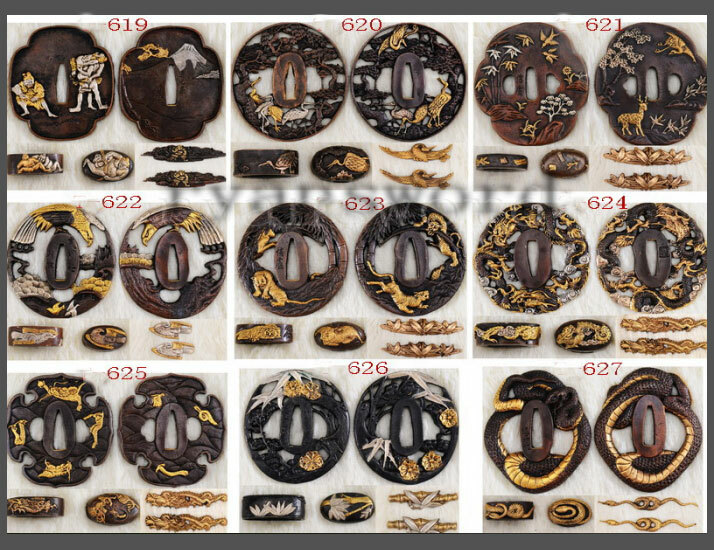 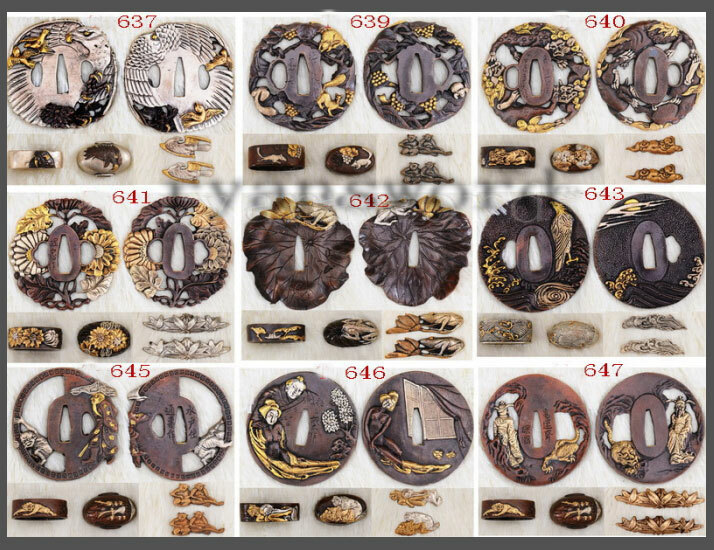 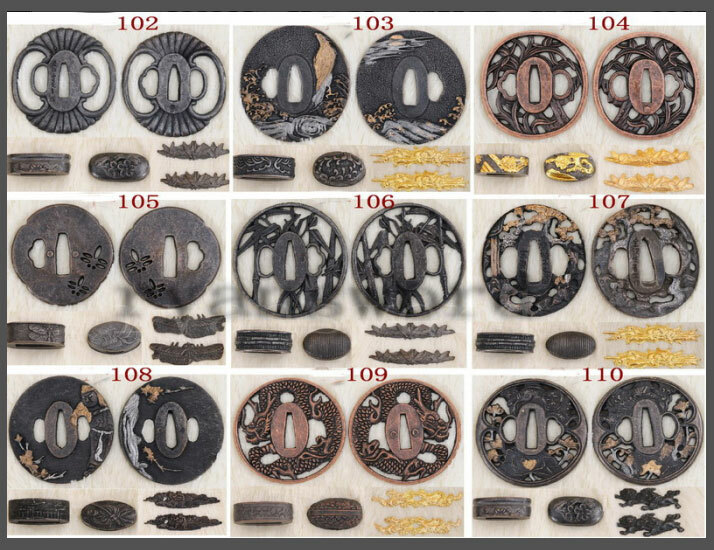 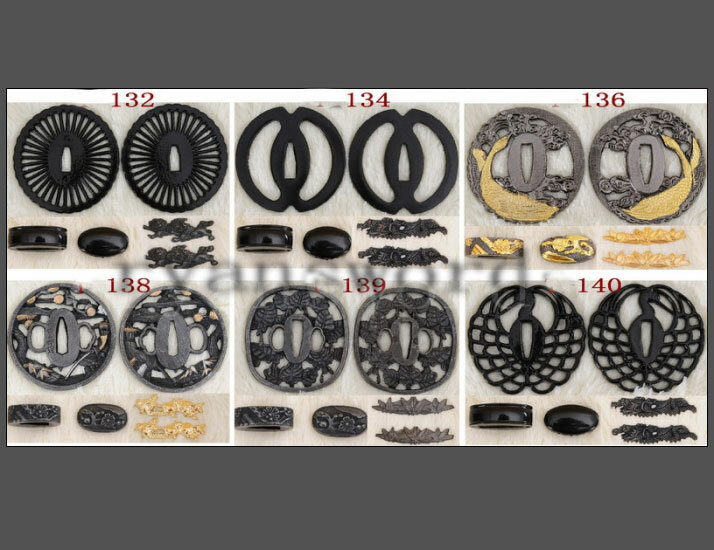 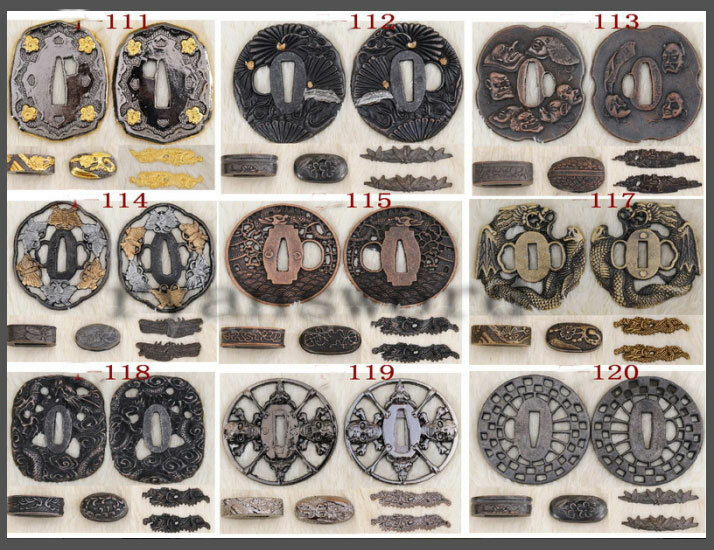 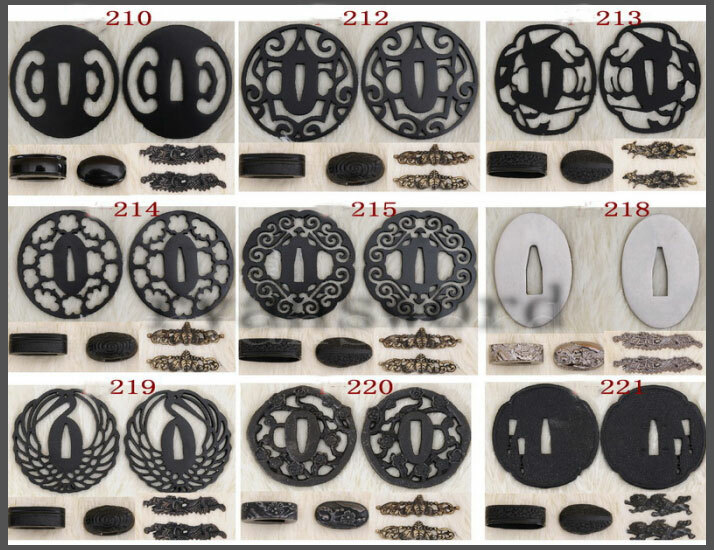 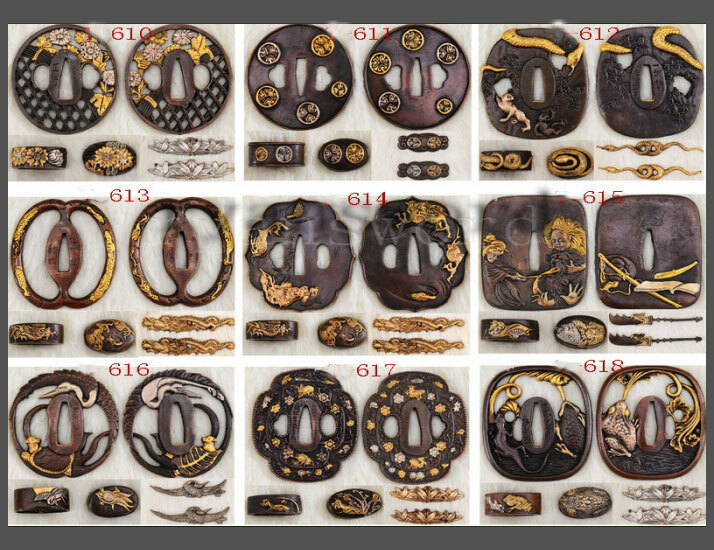 The tsuba, fuchi and kashira are made of polished, blackened iron while the seppa, menuki and habaki are made of brass. 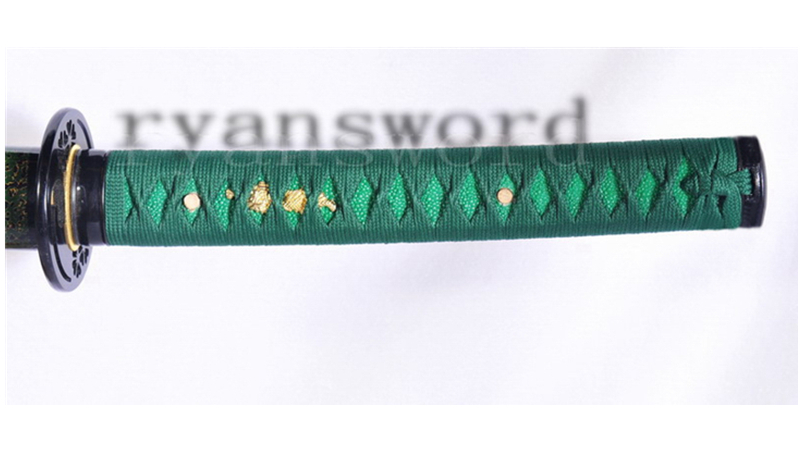 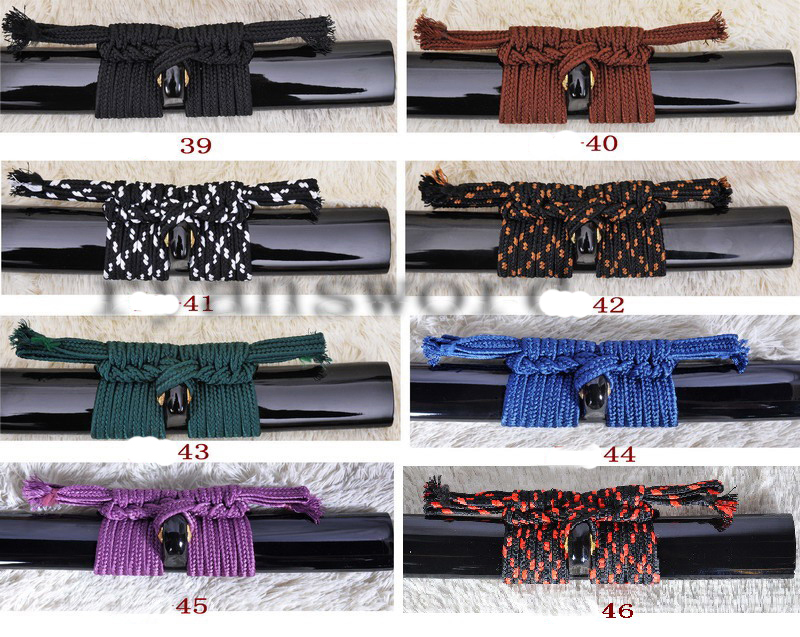 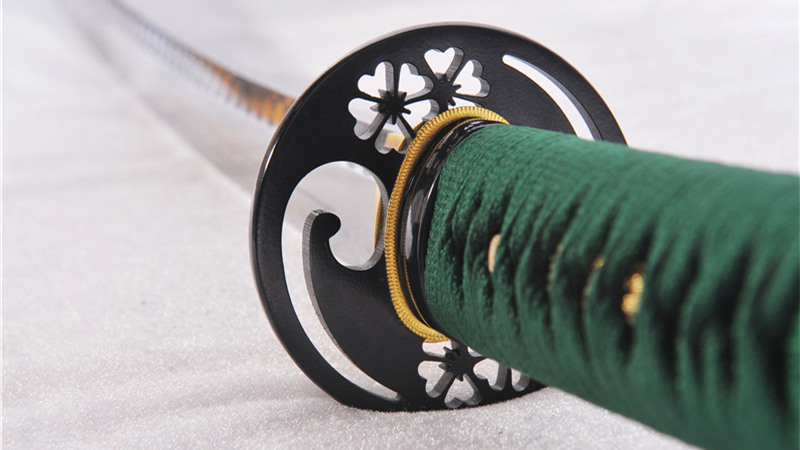 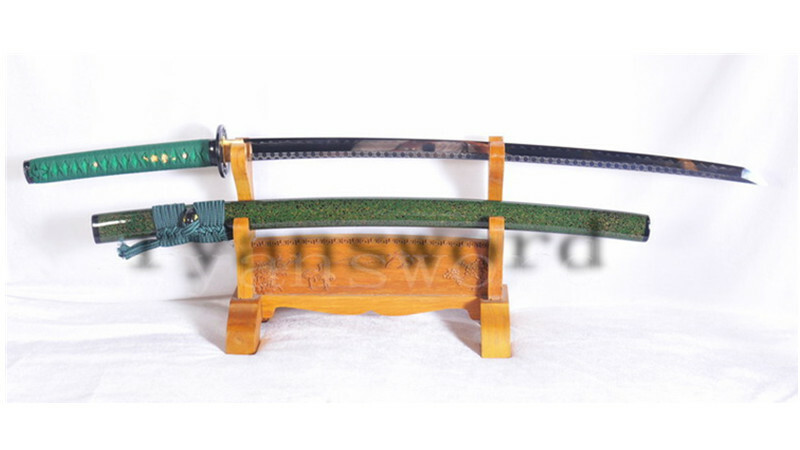 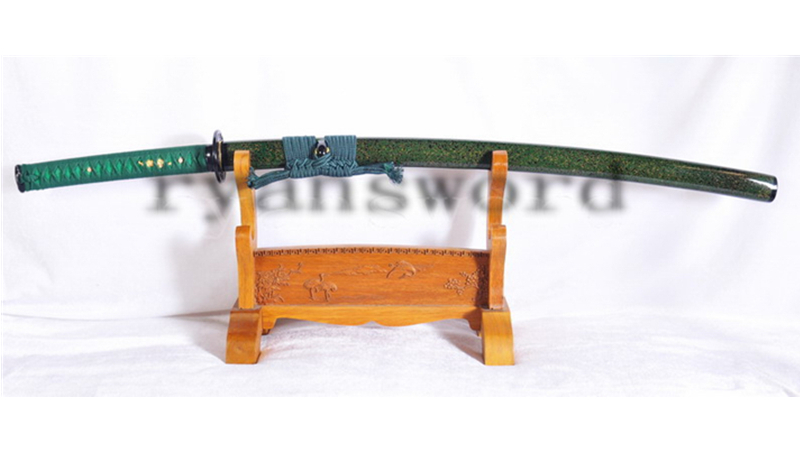 The tsuka has green-lacquered rayskin and wrapped in green, synthetic silk ito. 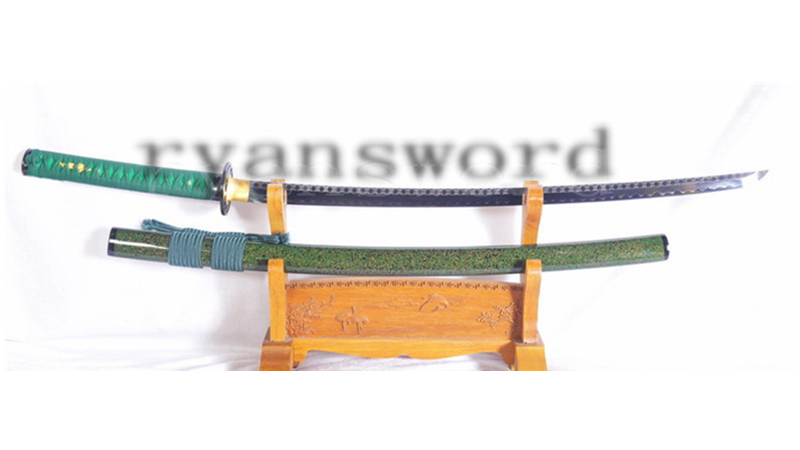 The saya is made of wood with a glossy, speckled green finish and has polished, black buffalo horn koiguchi, kurikata and kojiri.